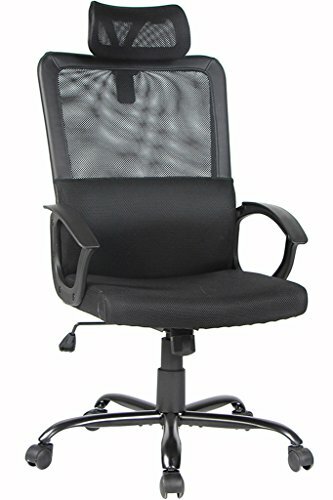 This Ergonomic Mesh Swivel Office Chair has additional features include seat height adjustment, rock back and 360-degree swivel. Mesh design for breathability, which offers you all-day cozy. Its gas lift meets the BIFMA standards. And its wheels are no damage to hardwood floors or carpets. And we provide 1-year free component-exchange. Before you sit on the newly-assembled chair the first time, please press the chair seat carefully for a while to make sure its gas lift and its control mechanism are fit together securely. All Bonum office chairs have passed the BIFMA testing standards for all applicable features. Seat size: 19.75"W x 16.50"D; Back size: 20.00"W x 26.75"H; Seat height: 17.25" - 21.00"
If you have any questions about this product by BONUM, contact us by completing and submitting the form below. If you are looking for a specif part number, please include it with your message.